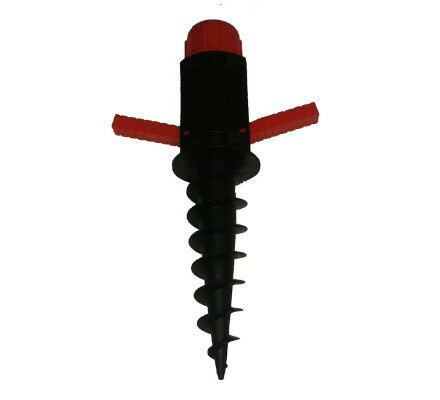 Solid sand screw for any of our beach umbrellas. Use for either sand or ground installations. Adjustable top to secure the umbrella in place and fold away handles for ease of use.